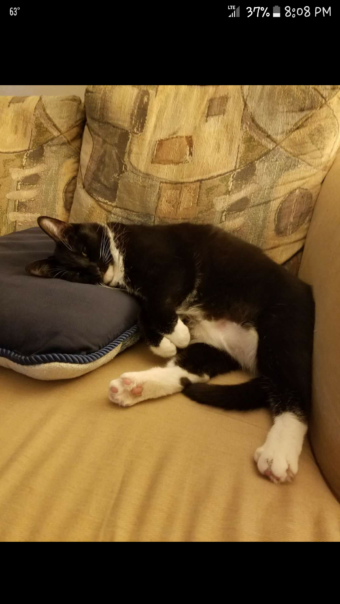 Cookie, a very friendly, tuxedo female, went missing on April 25th on the north side of Elmhurst. She is black on top, with a white chin, underside, and paws, and is a few years old. She is wearing a collar, and she has a microchip. She responds to her name when called. If you have any infomation, please contact Rose at 630-941-7365.